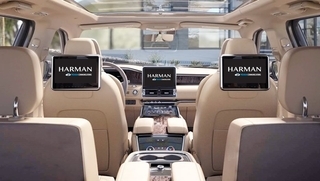 At CES 2019, The HARMAN automotive component is different than in years past – it is a true exemplification of the “One HARMAN” mindset, meaning that the three Automotive practices – Connected Car, Connected Services and Lifestyle Automotive – are more interwoven now than they have ever been before. The opportunity presented a number of unique challenges for our engineering, marketing and operations teams. Bill Wyman, Global Vice President of Car Audio Marketing, provides insight into how this impressive feat came to fruition. Q: How did the teams from the different automotive practices work together to create one automotive demo this year? A: This was an incredible accomplishment, and there were a few ways the teams came together to develop a one Harman automotive experience. First, it really started from the top, having our divisional leaders and Executive Committee aligning on the concept of “One HARMAN Automotive.” We took a comprehensive look at previous years to see what worked, what didn’t, and most importantly, how we could best showcase the full breadth and power of Harman to our customers. Next, the marketing leadership developed a process to achieve the overall vision and took special care to ensure we maintained a consistent look and feel across all the experience areas. But most importantly, our cross-divisional teams made all the difference. Leaders and SMEs from engineering, design, marketing and EPIC teams came together to develop and execute each of the core experiences. The teams did an amazing job driving results and building out our world-class demos for CES 2019. Q: How do you test the demos before the show? A: Testing the demos and experiences doesn’t happen overnight. It is an incremental process that helps us ensure we align the demos to our overall theme at CES. Individual project managers actually own different “zones” in our CES showcase, and they set milestones and touch points along the way to manage and review progress. Aesthetics are one thing, but functionality is just as important. We need to make sure they work! A week prior to shipping the demos off to Las Vegas, the teams do a full walk through of each experience. This is the final ‘gut check’ to ensure what happens in Vegas actually works in Vegas. Q: Why is CES an important event for us? 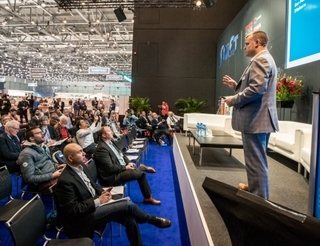 A: CES provides a truly unique and valuable opportunity to get our message out there, to media, suppliers and most importantly our OEM partners. Everyone comes to CES hungry for information and inspiration. It’s our job to feed them. The ability to engage with thousands of key stakeholders across our customer base all within the span of four days is really exciting. The experiences our customers have at CES plant the seeds for future conversations around our personalized, adaptive, connected technologies. 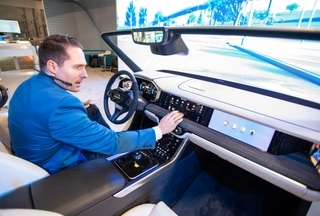 The hard work of our Connected Services, Connected Car, and Lifestyle Automotive teams are on display to thousands of people throughout our showcase schedule. Explore our automotive solutions virtually by clicking here. Congratulations and many thanks to all of you for the dedication you’ve shown in ensuring we put our best foot forward!